Residence One develop properties in London for wealthy investors prepared to spend £25m on a home. 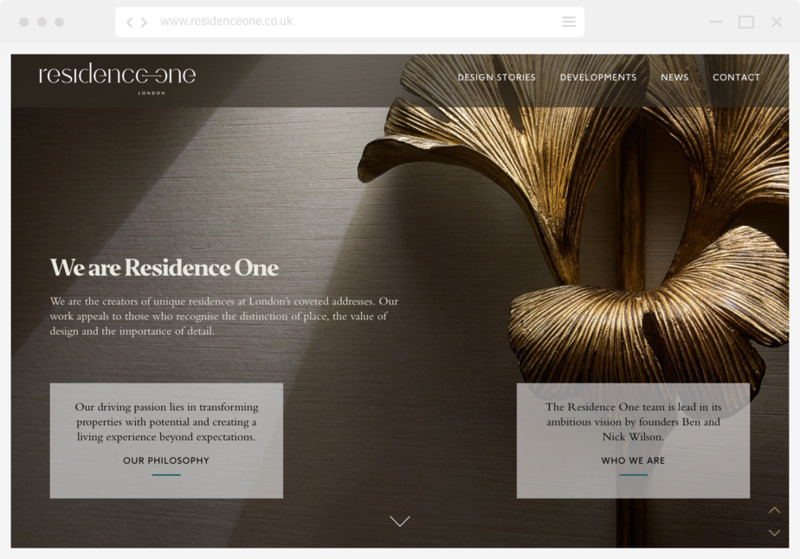 Residence One are unlike any other property developer. Their work appeals to those who recognise the value of design and the importance of detail and that is what justifies the eye-watering price tag attached to each development. 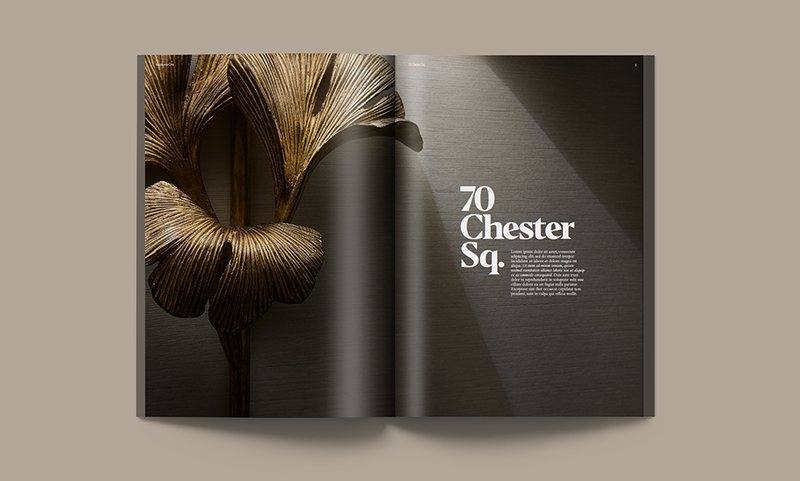 The design team creates entirely bespoke furniture, fabrics and fittings and curates seminal artwork with the emphasis placed on British craftsmanship. 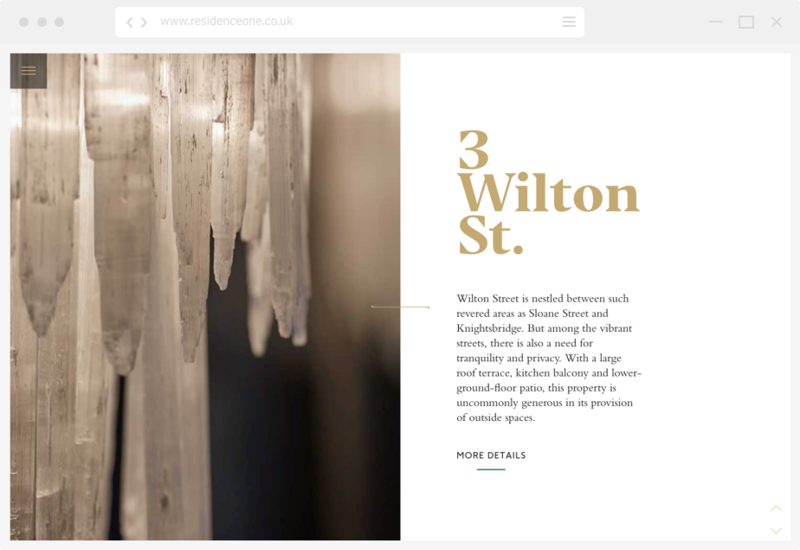 During the rebrand, a unique set of values were conceived by the branding agency that we collaborated with and part of the brief was to produce a design that was ‘recognisable yet unpredictable’, creating a website that tells the Residence One business whilst avoiding the obvious. This gave me the opportunity to experiment with the design and produce something a little different. 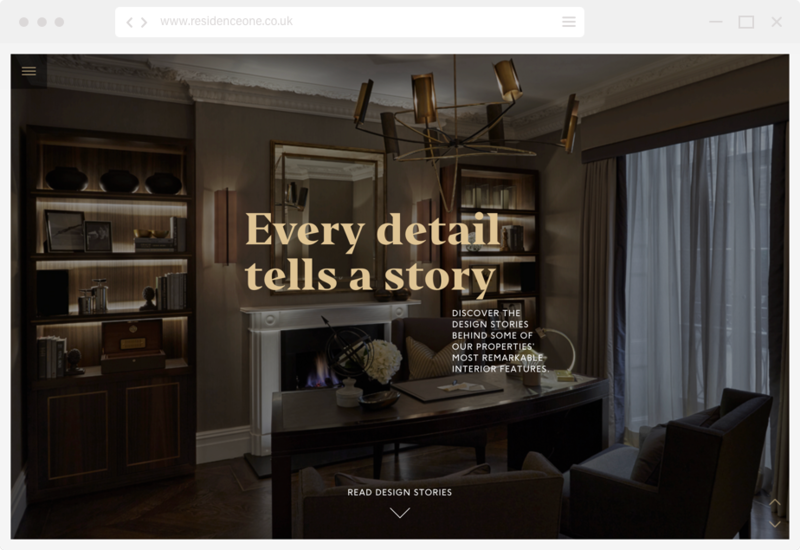 The home page initially focuses on the bespoke furnishings and design stories that are unique to Residence One, where most competitors would traditionally lead with their developments. The developments are still easy to find and are visually represented by their brochure front cover, which are unpredictable in design themselves. The website was completed with subtle interactions and was built into WordPress so that the client could add and change content when they needed to.